The song, along with “Top of the World” which was premiered in the 2009 Macy’s Thanksgiving Parade, will be included on her sophomore CD to be released on Interscope Records the summer of 2011. “The One You Call” video has the Illinois native showing her dancing talents. Palmer was initially signed to Atlantic Records for her debut album but sales were low. Hopefully with her new label she will get the marketing and promotions deserving of a multi-Image Award winning artist. 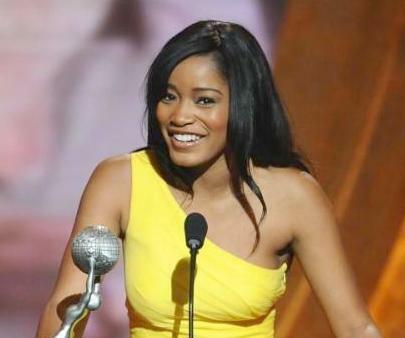 In fact, one of her Image Awards’ for “Outstanding Actress in a Motion Picture” (Akeelah and the Bee) has her making history by being the youngest to ever win in that category. Her sophomore album is slated for release the summer of 2011. For now the multi-facet 17 year old is promoting the launch, in association with Laron Entertainment, of her weekly Internet series “KeKe on the Reel” at www.KeKePalmer.com. While waiting to see if her Nickelodeon sitcom ‘True Jackson, VP” will be picked up for a third season, the bubbly young lady is also promoting the release of the single “The One You Call” currently available iTunes.com. The web-series is a documentary (via her diary) of her pursuit to be the ultimate well-rounded female performer. The first episode, at www.KeKePalmer.com, has her father and mother (Larry and Sharon) narrating her climb from the beginning. They explain in detail how they were “working” actors, so performing came naturally to their child, Lauren Keyana Palmer. That first episode shows her first audition tape as she animatedly sings “The Lion” from The Wiz. That tape resulted in her first role in Ice Cube’s Barbershop 2: Back in Business in 2004 starring Queen Latifah – which led to the lead role in “The Wool Cap” the same year. For the rest of her story that involves landing a starring role in the Nickelodeon sitcom “True Jackson, VP” log onto www.KeKePalmer.com every Friday. “KeKe on the Reel” is a five episode series, the second episode airs Friday December 5, 2010. Akinnagbe’s role in “The Good Wife” is a recurring one of Pastor Isaiah Easton opposite Julianna Margulies – the series just started its second season. Getting the point across is certainly why he has become a well sought-after actor. Last time I saw him was when I interviewed Gbenga on the red carpet of The Lottery Ticket movie premiere. I told him then that he came across as a very scary guy trying to “steal that lottery ticket” through-out the movie – honestly, I’d give him the role too! 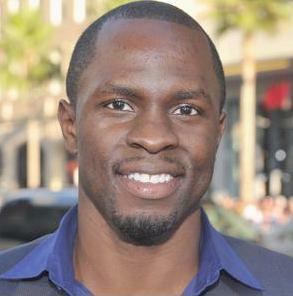 Currently residing in New York Akinnagbe’s personal interest includes philanthropy and volunteering. He volunteers as wrestling coach at his high school in Maryland. He also works with non-profits such as All for Africa, Rewired for Change and Shine on Sierra Leon. To learn more about Gbenga Akinnagbe log onto www.myspace.com/Akinnagbe or follow him at www.twitter.com/GbengaAkinnagbe.